The Final Fantasy VII Unused Text Series Index! Glad to see you are still with us! Enjoy the journey as we get ever closer to the end of disc 2. 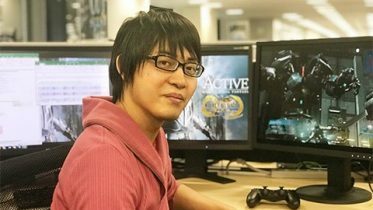 Retranslations this time around have been provided by TLS veteran and legend, hitoshura! He has also kindly provided commentary, marked in italics, to some of the retranslations. 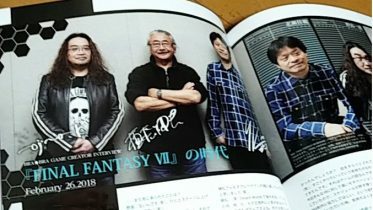 The unused Highwind content of this article can be viewed in one of the videos embedded in article Part 10. BONUS VIDEO to this article is embedded further down, in one of the Forgotten City sections! 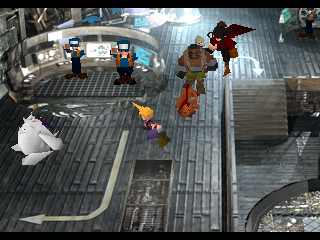 Upon reaching the chamber, the party sees a crane come and pick up a Huge Materia from the mako furnace. When the claw is inside the furnace, Yuffie is alone to have a response triggered at that very moment, if she is in your party. A Crane Game!” ゲーセン・キャッチャー！」 An arcade catcher! SEMKIN_4 belongs to a huge duplicate group of text. In the original Japanese release, as is more common there, tiny individual differences can be spotted when comparing the fields within this group. Browsing the text of all other fields in this duplicate group shows an alternate version of the “crane game” line. The alternate is nowhere to be found in the data of FFVII International. “UFO catcher” is used as a general term for claw machines and sometimes other prize giving arcade machines, but it is technically the name of Sega Interactive’s brand that took on wider use (like ‘Xerox’ in American English). ‘Arcade catcher’ sounds like a way to avoid infringing on any copyrights. After the battle against Carry Armor, the party reacts to the red submarine just having taken off with the Huge Materia. 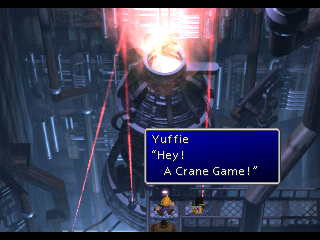 Oddly enough, when Yuffie is meant to speak she instead recycles a line that Cloud used back in SEMKIN_4, right when the crane was spotted. The error is quite apparent as Yuffie is the one doing an animation when this line appears, linking her to the present text window. The Huge Materia!” ヒュージマテリアが！」 The Huge Materia [is…]! The last part of the line (“is being taken away, etc.”) is omitted. “Huge Materia…! Wait…!” 「ヒュージマテリア～！」 Huge Materia~! There’s no ‘wait’ in the Japanese line, she just sounds kind of excited about the materia. With modding tools this error is easily fixed. When taking over the Submarine, Character #2 will start pressing buttons and cause the submarine to start moving. However, the game does not allow Barret to be Character #2 in this scenario. Why? When you first enter the sub and defeat the Shinra grunts there (SUBIN_2B) a scene occurs if you have Barret in your party. He will act leader-like, then remember his position and reflect on how much they’ve all been through. 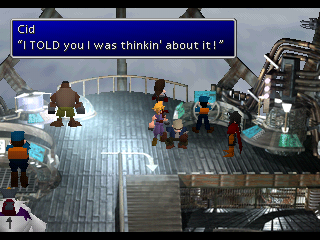 This scene forces Barret into the Character #1 slot. 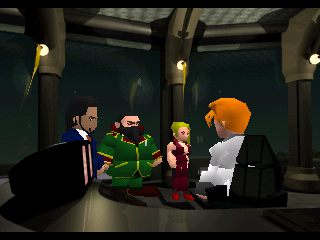 With the submarine’s savepoint not granting PHS access, it is impossible to arrange Barret into the Character #2 slot before you get back to the overworld. 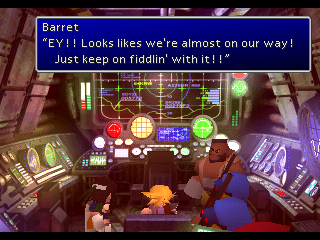 If you bypass this condition with cheat codes or other modding tools, you can trigger the scenario where Barret is the one to get the ship moving. “EY!! Looks likes we’re almost on our way! 「おっ！！　いけそうだぜ！ Ey!! This gizmo* might just do the job! Just keep on fiddlin’ with it! !” このピコピコ！！」 Just keep on fiddlin’ with it!! “It’s all up to you!” 「あとはおまえさんにまかせるぜ！」 I’ll leave the rest up to you! *The word Barret uses for the sub (ピコピコ/piko-piko) is an onomatopia that is, or was, used to refer to game consoles (based on either the electronic ‘beep boop’ style of sounds in old games or the sound of pressing buttons on the controller). But it seems more associated with parents who don’t really understand games and electronics, like a mother who calls all games ‘Nintendos’ or something. So I think it kind of plays into portraying Barret as someone who maybe isn’t very tech-savvy (referring to the submarine by the electronic beeps it makes). Before starting the minigame, you have the option to read the Submarine Operation Manual. This manual is divided into three parts, read in succession if the player decides to read the full thing: Beginner -> Intermediate -> Advanced. The Intermediate section, which only consist of one long text entry in the final game, was to end with the following instruction. the next torpedo can be fired. 時間がかかる。 the next torpedo can be fired. The way the English description is worded, makes it sound like you can only fire one shot before having to suffer through a loading time. The submarine minigame differs somewhat between JORG and post-JORG, but in all versions you can fire several torpedoes before you receive the penalty of having to wait until a new set of torpedoes are ready to be fired. A debugger’s note, clearly intended as a placeholder for the actual minigame. After all, debugging these events would have been quite a hazzle if the event planner had to suffer the minigame each time before checking the events that take place after. Incidentally, the planner for the submarine fields and the submarine minigame was Motomu Toriyama. In the scenario that the day is won, the party member in the character #2 slot will utter a line just before you reach the surface. 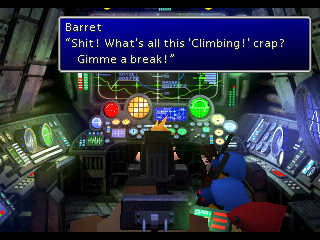 This gives Barret another (accidental) unused line, as he is still in the #1 slot. “#%$@! What’s all this ‘Climbing!’ crap? 「チッ！　なにが浮上だっ！ Tch! What do you mean, surfacing! Gimme a break!” 調子のいい野郎だぜ！」 Gimme a break! 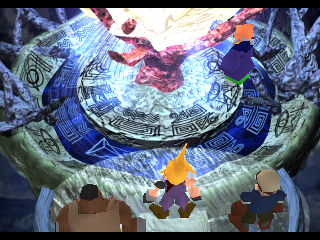 Most will not have lost the mission to retrieve the Huge Materia from the red submarine. If you do lose the minigame, either by the time running out or by the player sub being bombarded too heavily, the game still continues. 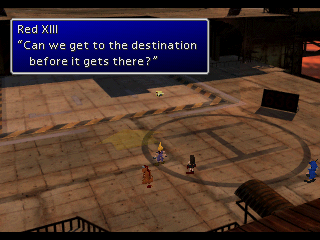 Cloud has an unused line taking place before the used, first line that is uttered in the lose scenario in the final game. We can be pretty confident that this is a debugger’s note, as the use of 『』 type brackets normally indicates the “author” making a note. The field author in this case is Motomu Toriyama (who is also the designated author of the Honey Bee Inn fields), but exactly what this debugger’s note represents is unknown. Does it perhaps represent the end of the scenario, as it had currently been choreographed, followed by a jump back to Toriyama’s debug room? This is actually mispelt, it should be 潜水艦 and not 潜水監 (the third character is wrong). It’s possible that the font they were using didn’t have the character 艦 so they used the simpler 監 which shares the same reading? Losing the Submarine Mission is an impressive feat, especially in all post-JORG releases where the minigame is notably easier. Doing this unlocks a ludicrous scenario where Cloud and team launch themselves out of the malfunctioning sub…on a torpedo. Cloud ends up on the Junon shore, with Mr. Dolphin flapping his tail on Cloud and the old man giving him CPR. 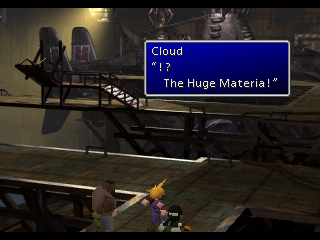 After cleaning his mouth, Cloud says that he wants to get his hands on a submarine. Character #2 in the PHS menu will then respond to this. 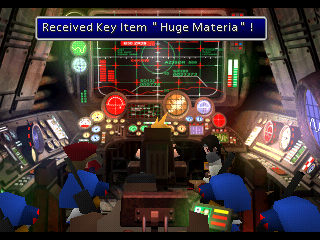 Barret’s text entry here is unused/hidden for the same reason as his lines inside the submarine. The word for submarine is mispelt here as well. 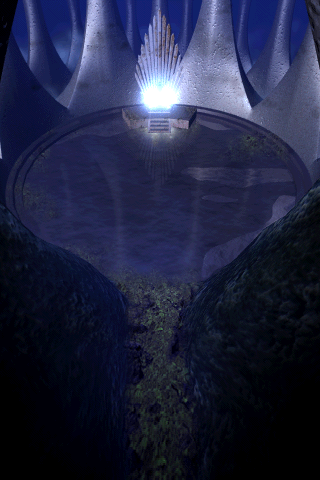 With the grey submarine destroyed, the player can instead acquire a red submarine by taking the elevator down to the Underwater Reactor path. After bypassing the dog that guards a normally-never accessed area, the red sub is all yours for the taking. Earlier translated as “Anyhow…” this debugger’s note is identical to the one we saw in the grey submarine. 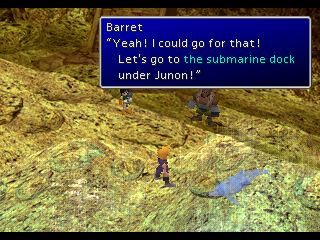 Losing the grey submarine is meant to be a lose-state where the Huge Materia is permanently lost to you, meaning that this unused text entry has no place in the red sub. 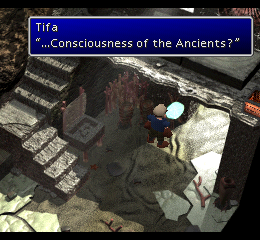 Its presence here is either because the Huge Materia was once a part of this scenario or because it’s a remnant of copied text/data from SUBIN_1B. After the Underwater Reactor scenario is complete, you have the option to visit the Junon airport. 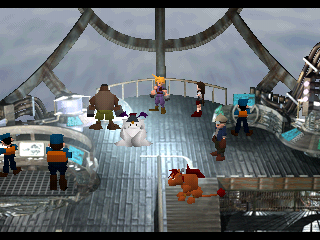 This will trigger an FMV of a Gelnika-type airship taking off with Huge Materia, which Cloud and the team concludes is being taken to Rocket Town. The field where this occurs is called JUNAIR. However, the script for this scene can also be found in the JUNBIN21 field in JORG. This field is one of those where the kanji symbols got re-arranged into a mess due to the game’s kanji table expanding during development. By using Asa’s kanji-correction key, we can restore the JUNBIN21 script. Upon comparing the final JUNAIR scene and the corrected draft, we find that only Red XIII’s line has a small discrepancy compared to the final scene. The only thing that differs is the the unused line uses 出 instead of で. What does hito have to say about this discrepancy? 出きる is a possible way of writing できる, so the meaning doesn’t really change (“I wonder, can/could we arrive at its destination first [before it does]?”). It would be written 出来る if you were to use the full kanji. If the kanji table was more limited earlier in development I suppose it’s possible that the original table did not include 来. Either way of writing it would be understood, although there are sometimes differences in usage and meaning. Formally it should be written できる when used in the sense of ‘to be able to’ so that is what you should see in newspapers, government documents or school textbooks. In contrast 出来 is meant to be used to refer to completion of something and its results. But that only really applies to formal usages, and you still see 出きる・出来る to mean ‘be able to’ in things like entertainment shows or novels and such. By writing in hiragana it can give a softer feel, which might fit more for Red XIII when he has stopped pretending to be mature and serious post-Cosmo Canyon. It is a bit of a surprise to find the Junon Airport scene in the JUNBIN21 field, since that field does not belong to the same duplicate group as JUNAIR. Both these fields were handled by Yoshinori Kitase according to the game data, so perhaps Kitase accidentally pasted the Junon airport scene text into JUNBIN21? Or perhaps the two maps once belonged to the same duplicate group? This is a very typical example of the sort of esoteric speculation that arises when one dives into the deepest depths of how the game files and content of Final Fantasy VII are organized. Without a doubt, ZZ4 has the most disappointing display of unused text, when contrasted with the gravity of the scenes that occur here. All the fields taking place within the rocket make up one big duplicate group. Here we find only one unused text entry, which fits best in RCKTIN4, right after the Huge Materia has either been acquired or forever lost. The text entry also happens to be grouped with the script that is triggered in this area. Let’s get outta here while we can!” はやいとこ、脱出しようぜ」 Let’s get out of here quick! It is actually possible to spot this location name, without the use of cheats. When the game teleports you to MD_E1, access to the menu is allowed. Because MD_E1 has no active location name of its own, it will display the one from RCKTIN7. Why does this Cosmo Canyon field have the unused location name of “Sector 0”? It is most likely a remnant of an old duplicate group, where a group of maps shared the same text but now (mostly) no longer do. We actually already fully disclosed the “Sector 0” affair way back in Part 6, Page 2 of this article series, where it was revealed that the unused location name is seen in the three Corel Village flashback maps, plus MD_E1 and BUGIN3. After the rocket fails to destroy Meteor, the party despairs for a moment. 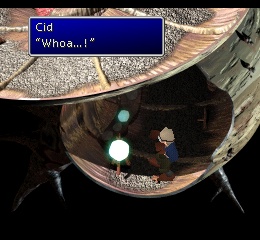 Cid then holds an inspiring speech, but ends on the note that he is still trying to figure out how they might stop Meteor. In the final game, the player is not granted any control here. Things are silent for a few moments, then Red XIII continues the scene. 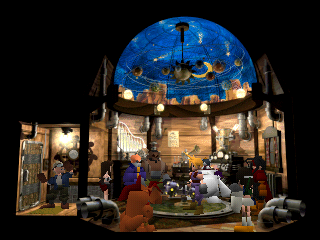 In an earlier draft of the scene choreography, the player had the option to move around and speak to the crew. 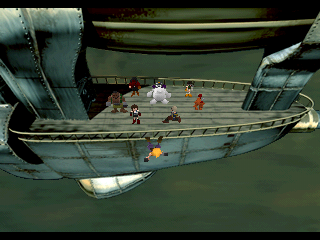 The playable characters have hidden lines, except for Vincent and Yuffie. how the President feels.” わからんでもないんですわ」 the President’s method [way of doing things]. The PS1 snapshots above can be compared to the PC text rip which is what this article series mostly uses. Observe how the PC version smoothed out Cait Sith’s accent. The trigger for the scene to continue, in the draft, is a border to the lower left. Once crossing this, Red XIII’s familiar lines are activated. Cloud has two lines here which are never referred and must be modded back (as flag and PPV manipulation won’t help). “Maybe it’s the Planet’s scream… 「星の悲鳴……メテオの……？ The [star’s*] scream… of Meteor… ? Or is it Meteor?” ……この星の？」 … This [star/planet’s]? 星, commonly translated to ‘star’, in Japanese can refer to a number of heavenly bodies (planets, stars, comets). 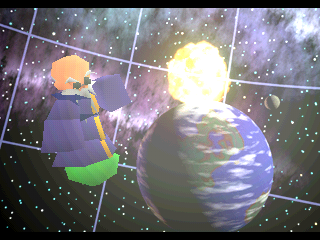 In FFVII it is also the usual name for the planet. “It’s the Planet’s scream. 「星の悲鳴だ。 It’s the [star/planet’s] scream. I’m sure of it.” たしかに星の悲鳴」 Definitely the [star/planet’s] scream. Since Japanese lacks articles like ‘the’ or ‘a’ in English, it’s possible you could take these lines in this section as ‘a star’s scream/a scream of a star’ instead. 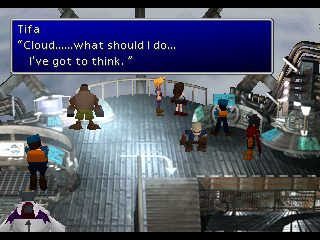 When Cloud has run back to the edge of the deck, he turns around to the crew before speaking the below used line. 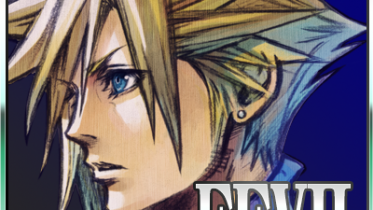 In the final game, Cloud will already be facing down to the crew, because in the scene he will not have moved from his original position. 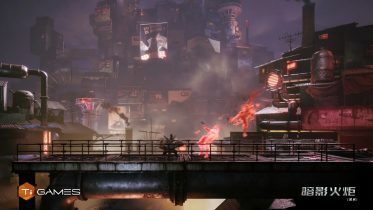 However, he will still use a turning animation to face the crew, which is a remnant of the older scene draft, clearly visible in the final game. really the Planet’s scream?” これが悲鳴だって知ってるんだ？」 know this is a scream? To me, the English line sounds more like it’s questioning if it’s the scream of the planet. Whereas the Japanese line feels more like asking why they know it’s a scream (as opposed to something else). 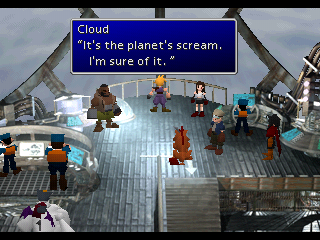 Tifa reminds Cloud that they learned about the planet’s scream from Bugenhagen. 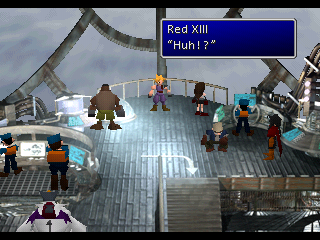 Red XIII then suggests that they visit Bugenhagen for advice. 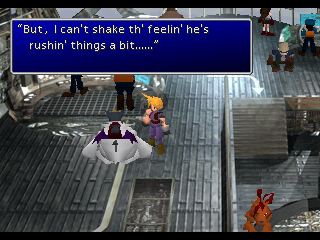 The following lines by Tifa and Cait Sith look like they could be placed within the “Planet Scream” scene that just happened, but their placement in the text entry list suggests that they were to be talk-to-lines. “The Planet’s…scream.” 「星の……悲鳴」 The [star/planet’s]… scream. With this, the team makes a visit to our favorite “ho-ho-ho” guy…who is not Santa Claus. そんなことも知らないんだ」 even such [as those] things. It seems the translator misread していた (was doing) with しっていた (knew) in the second line of dialogue. The game makes Red XIII invisible by default. Make him visible and create a reference to his unused line to complete this scene. “Smells like machinery.” 「機械のニオイじゃな」 It’s the smell of machinery. “Just be patient, old man.” 「少しの間、ガマンしてよじっちゃん」 Just put up with it for a little bit, grampa. “Well, bye for now.” 「ホーホーホウ、じゃな」 Ho-ho-ho, see you later. 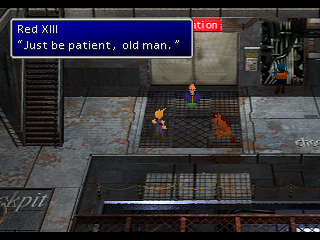 Walk up to Red XIII and trigger his unused talk-to line. Sometimes I don’t know what 時々、よくわからないんだ」 Sometimes, I don’t quite get [you]. We are rewinding time a bit now for our return to the Forgotten City, to the time when Cid was party leader. 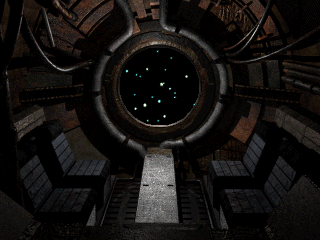 In three locations in the Forgotten City, the player can approach a glowing orb that is sending the unintelligible thoughts of the Cetra. 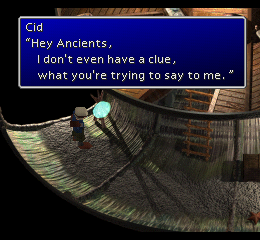 Cid’s response to this includes an unflagged text entry. This scene gets an honorary placement, for it is not actually unused but most people playing the game won’t trigger this scene. 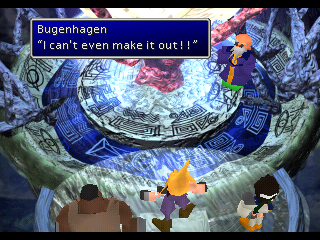 The scene is only available in the brief period after Cloud rejoins your party and before taking Bugenhagen to the Forgotten City. As far as I’m aware, this used scene isn’t even mentioned in the otherwise extensive FFVII Ultimania Omega book. “It’s similar.” 「……似ている」 …It’s similar. The above line by Cloud only happens if you already visited WHITE1 at least once before Cloud leaves your party. of the Lifestream.” ライフストリームの中に似ている」 It’s similar to being in the Lifestream. “…All the different noise.” 「……いろいろなノイズ」 …All the noise. but directly into your head.” 直接入りこんでくるノイズ」 head, not with your ears. Alternate translation: “Noise that enters directly into your head”. “That’s what this is similar to.” 「それに似ているんだ」 That’s what it’s like. The party member line that follows (by “character #1”, the character just below Cloud) is identical for every character except Cait Sith and even then only so in the Japanese version. Cait Sith’s version has more of a characteristic accent to it than the other characters’ line. 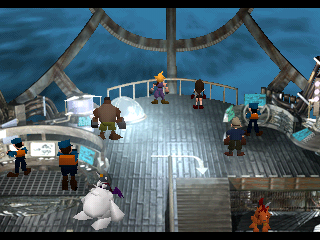 Then follows the line for the third party member (“character #2”, two steps below Cloud). For most of the characters, the Japanese line isn’t about their ‘head getting crushed’, but that it feels like their ‘head is going to burst’. 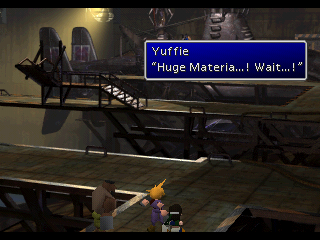 I’m not familiar with the term used in Yuffie’s line, and searching online hasn’t helped either. Going just off the feel of it, I kind of want to say it’s something like ‘I’m going to snap’? information here.” 全部知ることができたんだな」 there was to be learned here. altar…and only that.” あの祭壇……あの場所だけ」 that altar… that place. What were you planning to do?” 何をするつもりだった？」 What were you planning to do? “What…are we supposed to do?” 「俺たち……どうしたらいい？」 What… should we do? 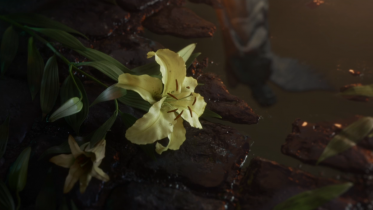 Not only does this elusive scene provide a more detailed description of what it feels like to be bombarded with the knowledge of the Lifestream but it also provides a small addition to Aerith’s story right before she met her demise. Pretty cool, wouldn’t you say? While it is ambiguous if the unused text entries here were to be used for WHITE1 or HEKIGA, if we follow the scene choreography of the final game then the jump to HEKIGA happens at least after Bugenhagen’s unused text entry above. “It’s all Greek to me! !” 「まったく読めん！！」 I can’t read it at all! The English PlayStation and PC lines differ here quite a bit, see PS1 snapshot above to the left and PC snapshot to the right. “It’s all greek to me” is an English idiom, but the Japanese text isn’t using an idiom at all, nor does it mention the greek language at all. 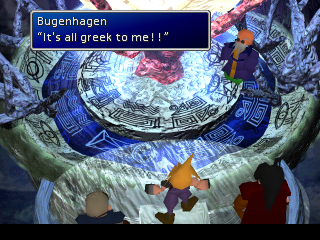 The pacing of the final scene must have been improved at least a little bit by not having the party members jump to the conclusion that Bugenhagen can read the writing of the Ancients. 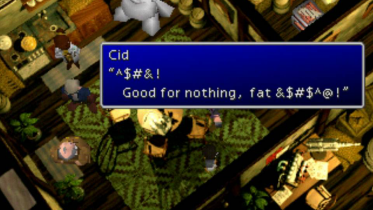 To add to our list of inconsequential discoveries, one of Cloud’s used lines has an unused alternate in the International (second Japanese release) of the game. 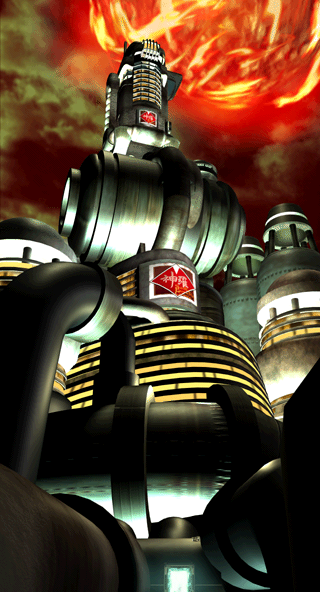 In the unused alternate, found in the Midgar Sector 8 field MD8_5, the second row reads “何のための” instead of “何ための”. The symbol の has been added in this unused version of the text entry. What does this mean, if anything at all? There isn’t really a significant difference between the two, the meaning (‘for what [purpose]’) is the same. Having the extra の in 何のための might just be more ‘correct’ grammar-wise with 何ための being more casual/abbreviated? Map only ever used for when the party observes Diamond Weapon and for right before the team parachutes down to Midgar. FSHIP_1 is the standard “deck” usually accessed by the player, although the location name of FSHIP_1 is simply “Highwind” (in both the English and the Japanese game). 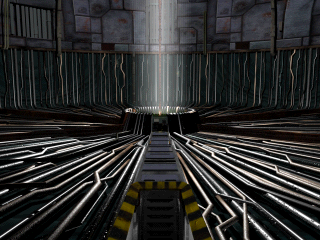 Map only ever used for two scenes: When you fly to the Northern Crater to see that the barrier is gone and when you fly over Midgar, right before parachuting down. FSHIP_4 is the standard, visually identical field you visit. 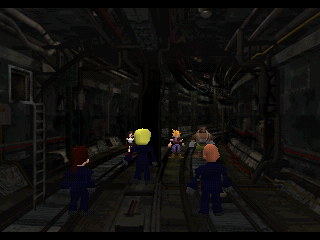 FSHIP_42 is only ever used for this inspirational moment when the team leaves to save Midgar. The word for airship doesn’t use the full kanji 飛空艇, perhaps the third character wasn’t included in the font when it was written? 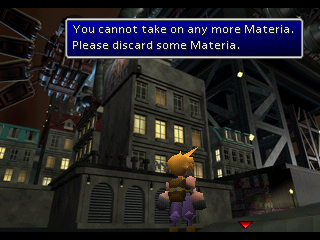 The presence of this “Please discard some Materia.” entry most likely has nothing to do with the planned presence of a materia in this field. Rather, MD8_5 also contains the text for Bone Village, the Ancient Forest, the Junon Airport and a few Shinra Mansion fields. The message to discard materia could belong to any of these other areas, though perhaps not the Junon Airport seeing as no materia can be found there. “Alright, let’s go!” 「よし、急ぐぞ！」 Alright, let’s hurry! After entering the winding tunnels and taking a few steps forward, the Turks arrive to make their final appearance in the game. In the final game, your party never reacts in surprise to Reno being “still alive”. The unused text here seems to refer to an expanded version of the Underwater Reactor scenario. 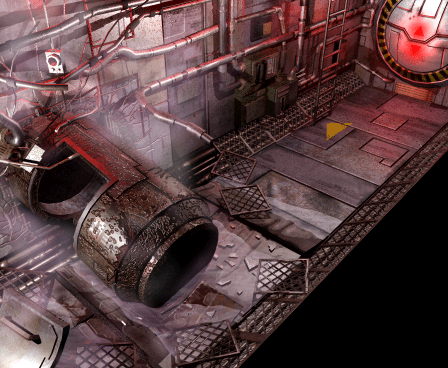 When you face Reno in the Underwater Reactor, where the grey- and red submarine are docked, he lets the machine boss Carry Armor do the fighting for him. Reno remarks “My priority is the Huge Materia!”, then he runs to the left and the battle with Carry Armor initiates. After the boss battle Reno is nowhere to be seen nor is he even mentioned. Some players might naturally assume that Reno boarded the red submarine (after all, his priority is the Huge Materia), some players might not even wonder where Reno went. There is however one odd piece of used text here. 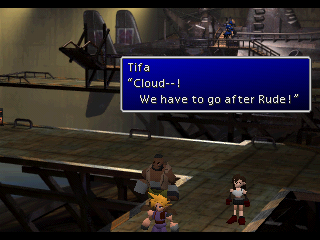 If you try to leave the docks after the battle with Carry Armor, Tifa will have this to say if she is in your party. …Rude? But he hasn’t even been spotted in the area! There is not even a single piece of unused data to refer to Rude here. The English game isn’t mistranslated here, seeing as [ルード = Rude], while [レノ = Reno]. 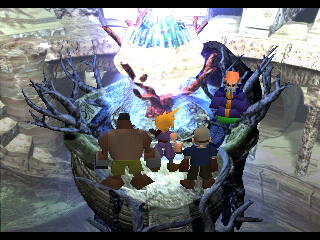 Regardless of whether this is an error by the scenario writers, or perhaps a remnant of a time when Rude was included in the scenario, one central truth remains: After the red submarine leaves the dock, one party member says that you must follow one of the Turks, thus pretty much confirming that a Turk did board the red submarine which also contains the Huge Materia. After this point however the final game never acknowledges a Turk having been inside the red submarine. The party doesn’t ponder what happened to Reno if they successfully destroy the red submarine, nor do they react with surprise if the player later meets Reno and Rude inside Gelnika, the sunken airship. 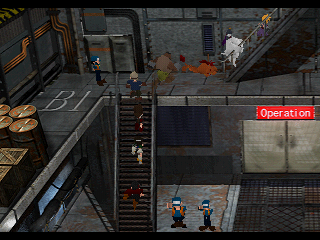 Just the same, as has already been mentioned, there is no programmed event when you infiltrate Midgar where Reno’s lack of deadness comes as a shock. It is then left to the imagination just how Reno survived the destruction of the red submarine. Did he board a torpedo and fly to the surface just like Cloud & Co does if they fail in the submarine mission? Was there some other mechanism that rescued Reno? How ever it happened, Reno ended up having to swim…a lot. When you run through the winding tunnels and when you roam Sector 8, you will encounter the characters not currently in your active party. You can talk to them or just avoid them. 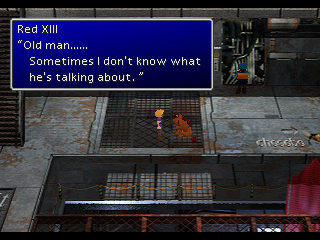 Coupled along these talk-to lines in the game data is an extra, unused line by Red XIII. 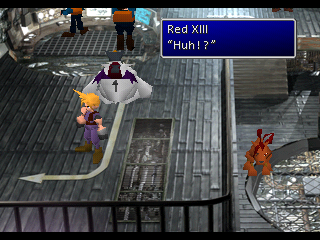 It is impossible to know the exact location Red XIII’s unused text entry belongs to. “Forget about these lackeys! 「ザコはいいからっ！ Forget about these lackeys! Focus on Hojo!” 狙いは宝条だけ！」 [Our] aim is only Hojo! 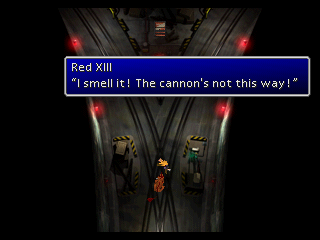 Red XIII’s used line is triggered in TUNNEL_5. The 11th hour is now behind us. 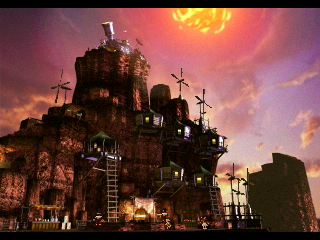 What awaits is the 12th, final hour which is when we shall finally save the planet in this dissection of the hidden territories of Final Fantasy VII!